Today, in an internet driven world, everything we learn, we make, we use, the internet plays a major role. And to utilize the power of the internet, we today use a lot of gadgets, like the tablets, the laptops and the smartphones. Even a typical nuclear family normally has more than five-six devices, that are internet ready. But sometimes, the router given by the Internet Service Provider is set to limit the number of devices that can be simultaneously connected to it. This is done to restrict the bandwidth usage. In these situations, you can make your own WiFi hotspot and share your internet connection using your Windows 7 PC/Laptop. You can also share your internet connection even if you are using a 3G/4G Dongle or you are connected to the internet through the LAN cable. We have 3 different ways by which you can share your internet connection. The first two are the third-party applications and the third one is by using the inbuilt feature of Windows 7.
mHotspot is a free application that turns your WiFi ready laptop into a hotspot, to which other devices can connect and access the internet. 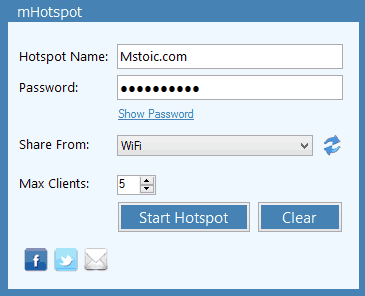 First install mHotspot on your Windows 7 machine, which will do the internet sharing. Run the application. The interface is quite clean and there are not many options to confuse you. Give your hotspot a name in the “Hotspot Name” field. Give a password in “Password” field. Choose your Wifi adapter from the drop-down list in the “Share from” field. Choose the maximum number of devices that can be connected to your hotspot, in the “Max Clients” field. After doing all this, Click the “Start Hotspot” button. After successful connection, you will receive a message confirming that the Hotspot has started successfully. Now you can connect up to 10 WiFi capable devices to this Hotspot and enjoy internet capabilities on all your devices. You can even monitor the devices connected to your Hotspot, go to the clients tab in the right pane to do that. 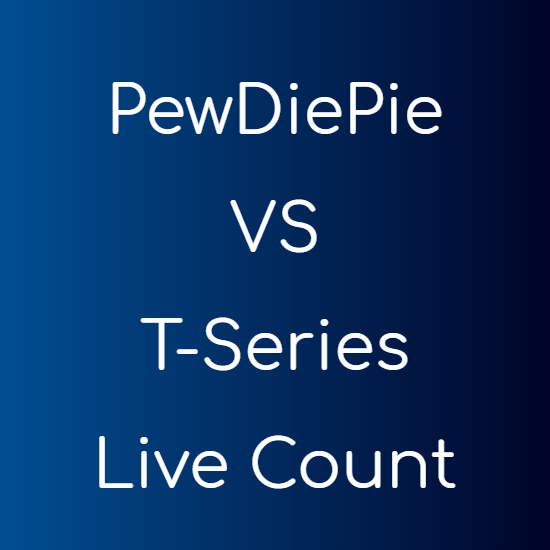 To choose the network that is connected to the internet and from which you want to do the sharing, go to the “Network” tab and select the connection from the drop-down list. You can set any name of your Hotspot and protect it with WPA2 PSK security. You can see the bandwidth consumption by your network. 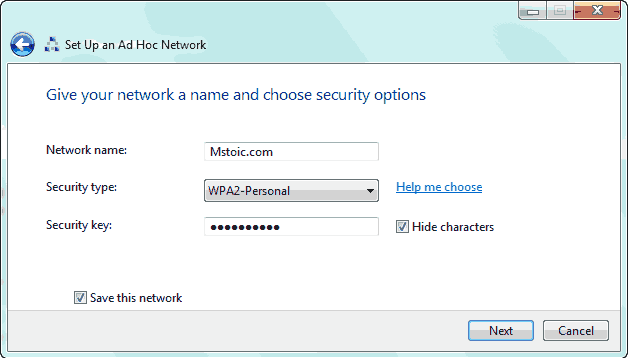 The mHotspot application works with Windows 7 and Windows 8. You can monitor the devices connected to your Hotspot. Any WiFi capable device can get access to your hotspot, be it an ipad, iPhone, laptops, PCs, tablets or smartphones. You can easily share 3G/4G dongle, WiFi connection or any wired connection. This can also be used as a range extender, as the hotspot can be placed in between your router and your connecting device. You can set the maximum number of devices that can connect to your Hotspot. 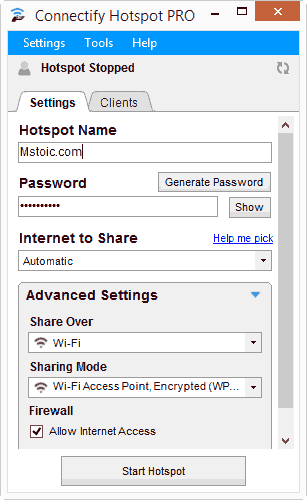 As mHotspot, Connectify is another application that lets you share any type of internet connection over WiFi. But the free version, Connectify Lite, does not allow you to share your 3G/4G connection. This can be done by purchasing their paid product, Connectify Pro. Connectify Pro also has a unique Fling feature, which allows you to drag and drop files from one device to another. This is done even when you don’t have a working internet connection. It keeps you from the hassle of using USB drives and emailing files to yourself. Even if you are not connected to a router, you can still access the shared folders of one device from another. Unlike the above mentioned applications, you need to do some extra work to get it working. This also has a drawback, you can not share your connection with the same WiFi adapter from which you are connected to the internet. You can either share a LAN/ethernet or a USB connection or you need to have two WiFi adapters. But this relieves you from installing any third-party app. Go to the “Control Panel” and then the “Network and Sharing Center”. Now find the “Set up a new connection or network” option and click on it. 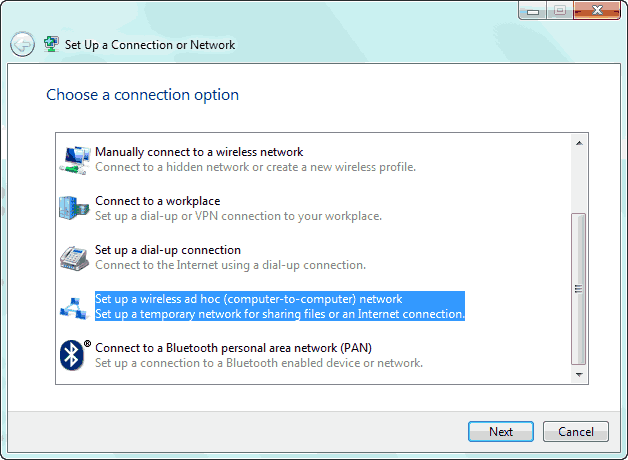 Now in the window that pops up, select the “Set up a wireless ad hoc network” option. Then give your network a name, and set up a WPA2 password. Check the “Save this network” checkbox. NOTE Keep your password as complicated as possible. Now in the taskbar area, you will see the network you just set-up is waiting for the users to join your network. Now you need to allow internet sharing over this network. 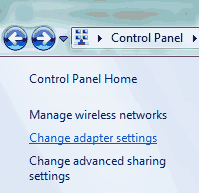 For this, go to the “Control Panel > Network and Sharing Center” and then select “Change adapter settings” from the left pane. Now choose the adapter which you are using to connect to the internet, “Local Area Connection” in my case. Right-click on it and select “Properties”. 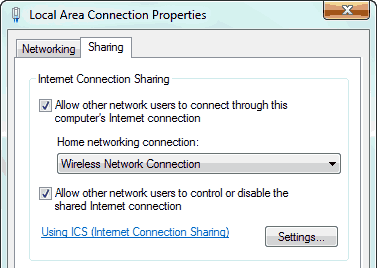 Now go to the “Sharing” tab and check both the check boxes to allow other network users to connect to and disable this computer’s internet connection. REMEMBER Disconnecting from this network is same as stopping the network and connecting is same as turning it back on. If you have followed all the above steps, you would have successfully made your Windows 7 machine, a hotspot with internet sharing capabilities.